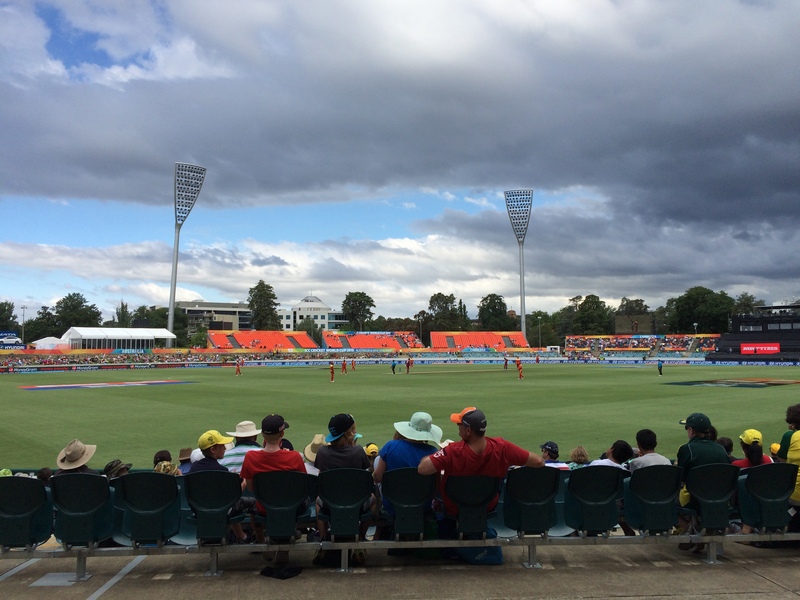 The West Indies take on Zimbabwe at Manuka Oval in Canberra. For those old enough to recall it, there’s a fabulous episode of the original 1960’s Star Trek series (and a concept revisited many times by its successor shows) called ‘Mirror, Mirror’. It imagines a world where, but for a turn of fate here, a different decision there, the universe might be a very different place. In ‘Mirror, Mirror’, the end result is an aggressive Vulcan race and a Federation that is more warrior than explorer. It’s kind of ‘Sliding Doors’ for sci-fi geeks. The CBRbound clan likes a bit of sport – we’ve trekked across Europe to see the World Equestrian Games, had season tickets for our favourite football teams, seen the royals play polo, and even been to Wimbledon on men’s semi-finals day, to say nothing of all the sporting activities that the kids actually participated in. But nothing quite prepared us for the feast of sporting activity that is on offer in and around Canberra this southern summer. When I was growing up in England, cricket had a much greater presence in the consciousness of the general public. As I recall, football and cricket were held in relatively equal thrall and were largely confined to their seasons of summer and winter, only overlapping for a few weeks at either end. Indeed, some players even played both games – Ian Botham included. Since then, the behemoth that is football has sucked up nearly all the media attention in England such that, outside of the Ashes and the world cup, cricket has become very much the poor relation in the nation’s sporting line-up.